A Look at Japan’s Incomparable Sock Industry. | A Continuous Lean. If there’s one arena that Japanese designers dominate it’s not obscure outerwear, or vintage inspired sweats, or ironic yet unironic footwear. It’s socks. No one has mastered the art of a great knit sock quite like our counterparts from the Land of the Rising Sun. The attention to detail, fit, quality and construction coming out of Japan is rivaled by few in the U.S., Italy or elsewhere. Fortunately for those of us in the States, there’s been a recent influx of these superior socks into the American market, and so we decided to round up the best Japanese socks available right now. 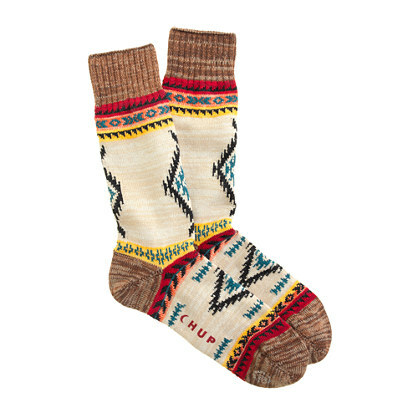 As the temperatures turn and things get cold, your feet will thank us for this one. 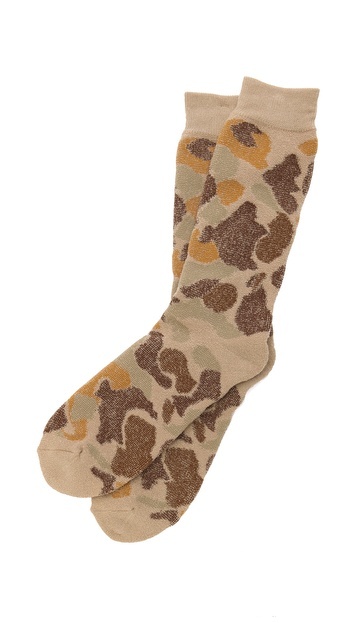 AnonymousIsm: From duck camo, to birdseye, to deer print, to Wigwam, AnonymousIsm’s sock collection features a wider variety of patterns than your standard sweater collection. Some are bold, some are basic, but all of them will last you for winters to come. 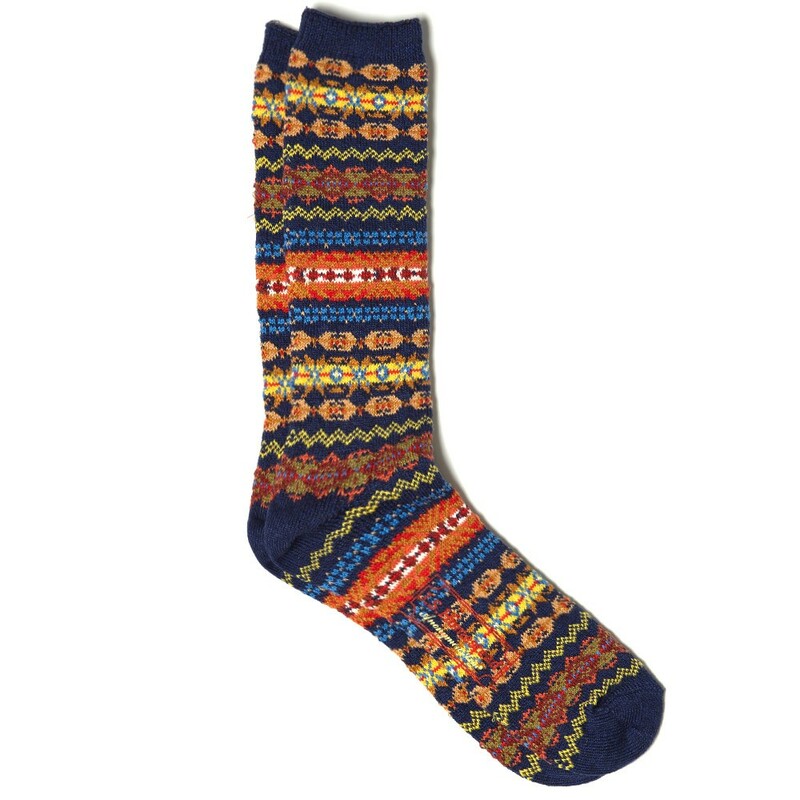 White Mountaineering: If there’s one brand that sparked the Japanese sock movement, it’s the pattern obsessives over at White Mountaineering. 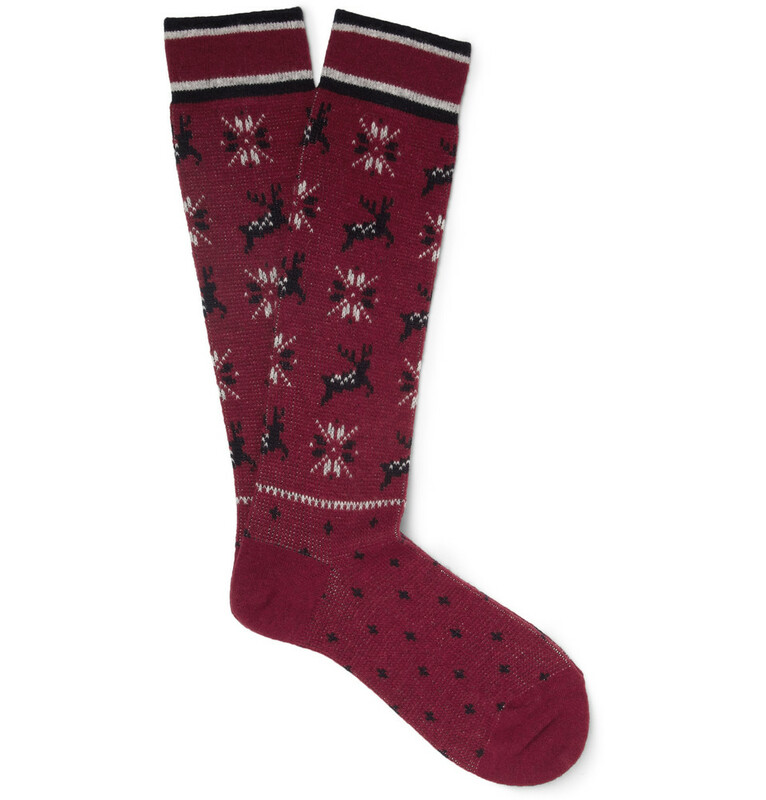 While their Fair Isle knits were a big hit in previous seasons, these Norwegian inspired Reindeer print socks are just impossible not to smirk at. 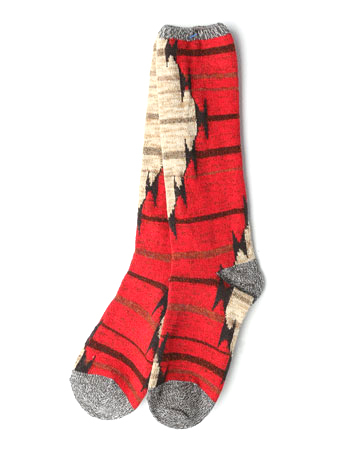 Kapital: In typical Kapital fashion, these â€œthunderâ€ socks (also available at Hickoree’s) turn a classic Southwestern style on it’s head by moving a common Native American sweater pattern down to your toes. 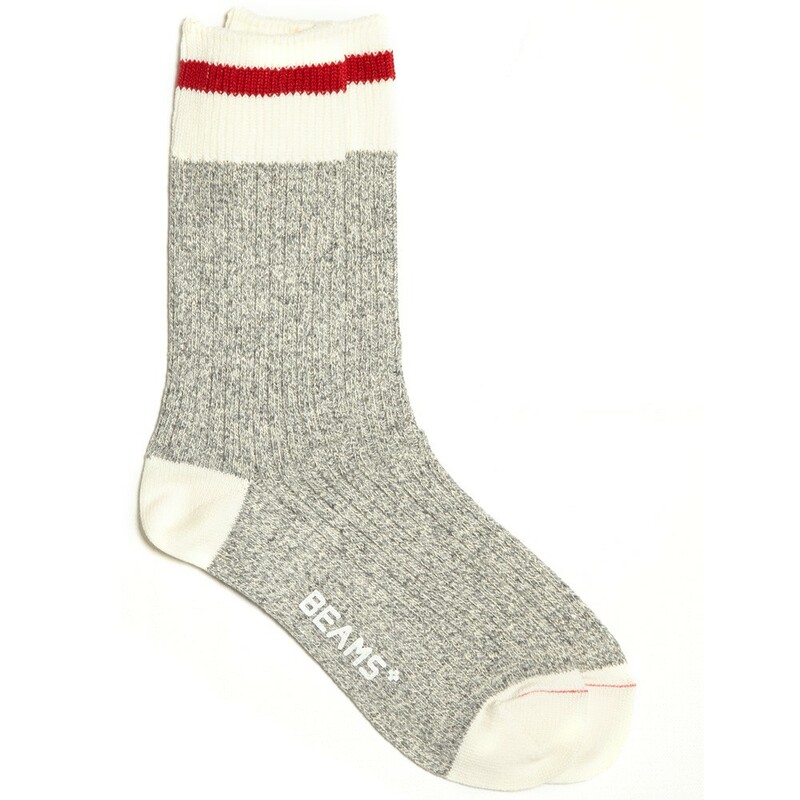 Beams +: As the Americana-focused varietal of the Beams empire, Beams + is best known for their meticulous recreations of iconic American designs, and yes that does extend to socks. You may want to consider that in Japan one’s socks are highly visible because one goes shoeless much of the time indoors. There’s loads out there coming from Japan and they sure know how to produce nice looking designs. @dirk, that’s a great point… never thought of that, but you’re right – socks are much more visible in Japan and these patterns are a great way to make sure you look fantastic even when going shoeless. Most of the socks are made in Nara and or Wakayama. The two centers of knitting in Japan. Oh how I miss being able to get men’s Antipast socks. I only see the women’s versions any more. If anybody knows where they are available in the U.S. I would love to know. Fantastic high-quality socks that just last and last. Museum of Modern Art sells japanese socks. They are made of recycled yarn. They only come up to your ankle. I have been buying them and wearing them for years. My used ones are filled with holes and I still can’t let go of them. This has become a source of tension between my wife and I. We still go on. I wear them to church to add to the holiness of my Sunday attendance. Ha Ha! !